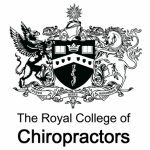 These grants are available to any chiropractic undergraduate currently studying in the UK and registered as an RCC Student Member, and are intended to assist the applicant in attending a conference, undertaking a secondment or making some other educational visit outside the UK. Grants are awarded to help cover travel costs only. The decision to award a grant will be made on merit, based on the written case made by the applicant. Applicants who make the strongest educational case for receiving travel funds are most likely to be successful. A typical award will be between £100 and £500 but more may be awarded in exceptional cases. To apply for a travel grant for conferences/trips that will take place during 2019, please complete and return the application form, see link below, by the deadline of 12 noon on Friday 15 March 2019. A further call for 2019 applications will be made in June should any funds remain unallocated.